This week, the Trump administration’s campaign to bludgeon the Palestinians into submission notched two more accomplishments. 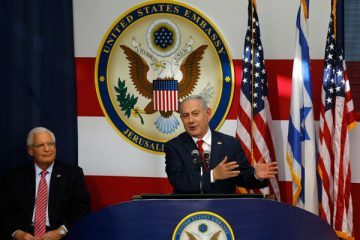 The first was cutting $25 million in American aid to the East Jerusalem Hospital Network, comprised of six hospitals that provide Palestinians with surgery, kidney dialysis, and cancer treatments that are unavailable in the West Bank and Gaza. The second was announcing the forced closure of the PLO mission to the United States, which effectively serves as the Palestinian embassy in Washington. While the Trump administration’s strategy of using every stick in its arsenal against the Palestinians has been evident from the outset, what makes the latest aid cut so pernicious is that it is a naked attempt at punishment entirely unconnected to any conceivable strategy designed to get the Palestinian leadership to the negotiating table. It is the purest form of the theory that only victory over the Palestinians will lead to a lasting peace, but its implementation is revealing precisely what such victory entails in its architects’ eyes. The elimination of $25 million in aid to East Jerusalem hospitals is a drop in the bucket compared to the administration’s previous aid cuts covering USAID and UNRWA, but it exposes what President Trump is up to in a clearer way. The argument for cutting UNRWA funding is understandable even if one does not agree with it; UNRWA is a deeply problematic organization from a philosophical and practical perspective, and Israelis across the political spectrum have been railing against it for years. 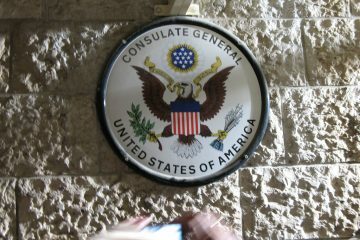 The argument for eliminating USAID in the West Bank and Gaza is less understandable, but one can with a straight face defend the move on the grounds that the assistance creates a culture of dependency, that billions of dollars in aid has not bought the U.S. any appreciable reservoir of goodwill or a willingness to compromise, that it has only empowered a corrupt Palestinian Authority that relies on outside actors to foot its bills and offset its spending so that it can continue making payments that incentivize terror against Israelis, and that it has not advanced American interests. On balance, my view is that forcing UNRWA’s death overnight and ceasing all infrastructure and good governance spending in the Palestinian territories will do more harm than good and removes any remaining leverage the U.S. had with the Palestinians, and is highly unlikely to get the Palestinians to engage in negotiations under the threat of sanctions. Nevertheless, I can at least appreciate the arguments on the other side and the logic that underpins them. But the East Jerusalem Hospital Network aid cuts are different. It is a minuscule amount of aid in the grand scheme of things, so claiming that it will be directed elsewhere to more pressing projects is laughable. The hospitals are not administered by the PA, the UN, Hamas, or any other actor that the Trump administration deems to be objectionable. They are not even located in Palestinian-administered territory, but are all in East Jerusalem, which is formally annexed to Israel. In fact, they are licensed and inspected by Israel’s Health Ministry, so they are completely under Israeli jurisdiction. They are doing nothing nefarious and have never been accused of abetting corruption or aiding terror. All they do is provide badly needed and highly specialized medical treatments to people who cannot otherwise get them. What sets them apart, of course, is that they cater to Palestinians, so the arguments about empowering bad actors and creating a culture of dependency and building pressure for President Abbas to return to the negotiating table do not apply, but the hospitals still conveniently provide ample vehicles for acting in cruel and callous ways toward ordinary Palestinians. 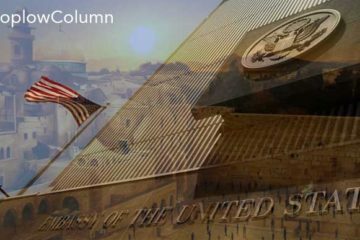 President Trump and his team appear to have adopted wholesale the theory that animates the Israel Victory Project and its Israel Victory Caucuses in the Congress and the Knesset. The fundamental principle at work here is that only by ensuring a complete and total victory over the Palestinians and convincing them that Israel will endure can peace ever be achieved. 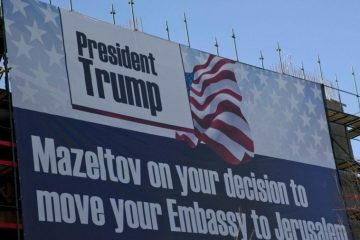 To quote from the project itself, “To support acceptance of Israel, Washington must not drag the parties back to more negotiations, but robustly supporting Israel’s path to victory….That means supporting tough Israeli policies, from capital punishment for murderers to shuttering the Palestinian Authority. It means diplomatic support for Israel, such as undoing the ‘Palestine refugee’ farce and rejecting the claim of Jerusalem as the Palestinian capital. It also entails ending benefits to the Palestinians unless they work toward the full and permanent acceptance of Israel: no diplomacy, no recognition as a state, no financial aid, and certainly no weapons, much less militia training.” One can see how this playbook has been translated into tangible actions from the White House, but now we also see what happens when total victory turns into preventing people from getting chemotherapy or consigning them to a life of blindness. 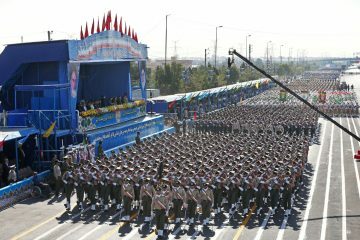 It is a return to rejected theories of war that sought to collectively punish entire civilian populations for having the misfortune of being governed by bad actors, and one that the Trump administration now seems to feel is appropriate again. There is no defensible argument that suspending a sword of Damocles over the heads of cancer patients will get Abbas to drop his boycott of the White House. It is nothing more than cruelty laid bare. What makes ending aid to these hospitals particularly duplicitous is that until recently, the Trump administration and its Congressional allies held up the East Jerusalem Hospital Network as a shining example of the type of institutions that should be supported. In March, Jason Greenblatt boastfully tweeted that due to assistance from USAID, a team of surgeons from St. John Eye Hospital had traveled to Gaza to perform specialized operations to Palestinians there that would be otherwise unavailable. When Congress passed the Taylor Force Act subjecting all American aid to the West Bank and Gaza to be eliminated if it directly benefited the Palestinian Authority in any way, it specifically exempted the aid appropriated to the East Jerusalem Hospital Network. 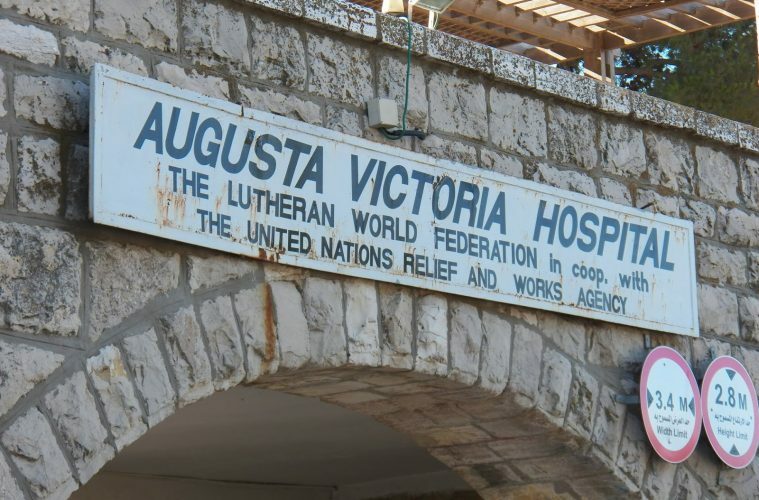 When the Senate Foreign Relations Committee held a hearing in July 2017 on the Taylor Force legislation before it was passed, Elliott Abrams – as staunch a pro-Israel Republican foreign policy mandarin as exists – testified that the hospitals should not be subject to any aid cuts, and referred to Augusta Victoria Hospital as a “renowned and venerable institution.” But that was then and this is now, and as we have come to learn, consistency and logic are not fortes of this president or his Congressional enablers. The U.S. has no obligation to dole out foreign aid to Palestinians or anyone else. If Trump’s longest-held principle is that the U.S. is being taken advantage of by foreigners who prey upon our generosity and he wants to end this cycle, he is well within his rights to do so, and elections have consequences. But part of the myth of America and its democratic exceptionalism is that we are supposed to make the world a better place and do good for its own sake, and not because we will get something in return. If anyone has a cogent argument in support of denying Palestinians medical treatment in hospitals on Israeli territory under Israeli administration that they cannot get anywhere else, either on moral grounds that they deserve to die for the sins of their leaders and fellow countrymen or on practical grounds that this will cause the entirety of Palestinian society to accept Israel’s right to exist, then I would love to hear it. But if not, let us dispense with the mendacious fiction that this heartlessly inhumane action is about victory and peace, and is instead nothing more than cruelty for cruelty’s sake. 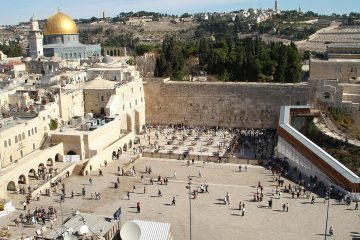 I Was Wrong About Jerusalem. What Have I Learned?